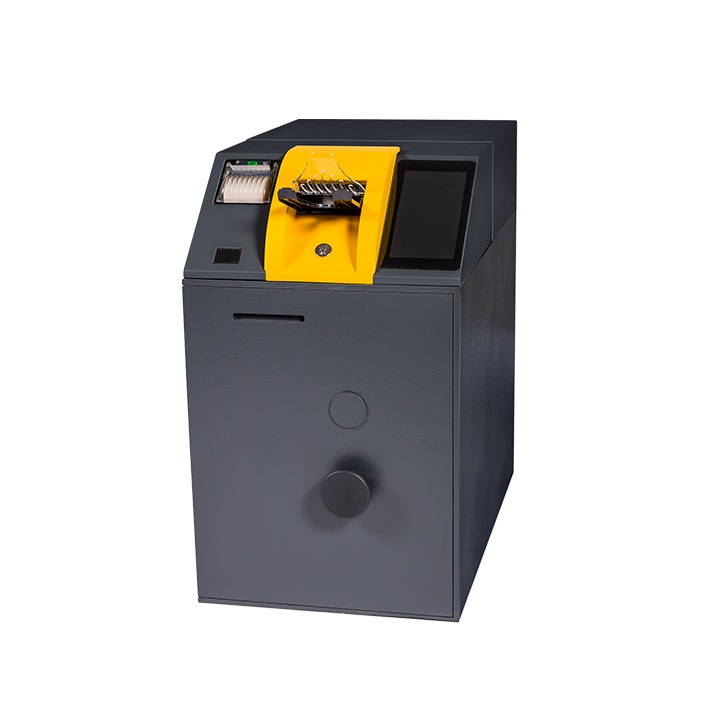 High performance coins deposit unit. 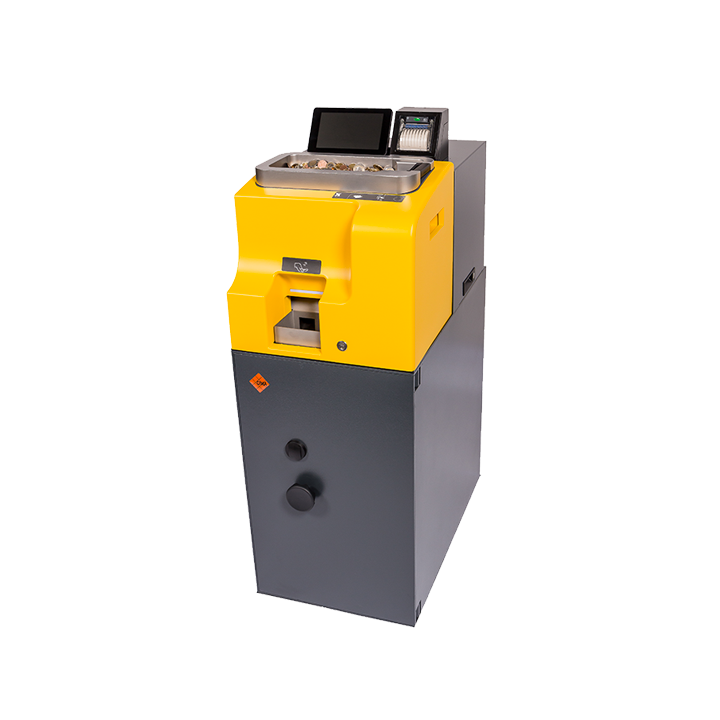 CDS801 matches an ease of use with an absolutely attractive market price. 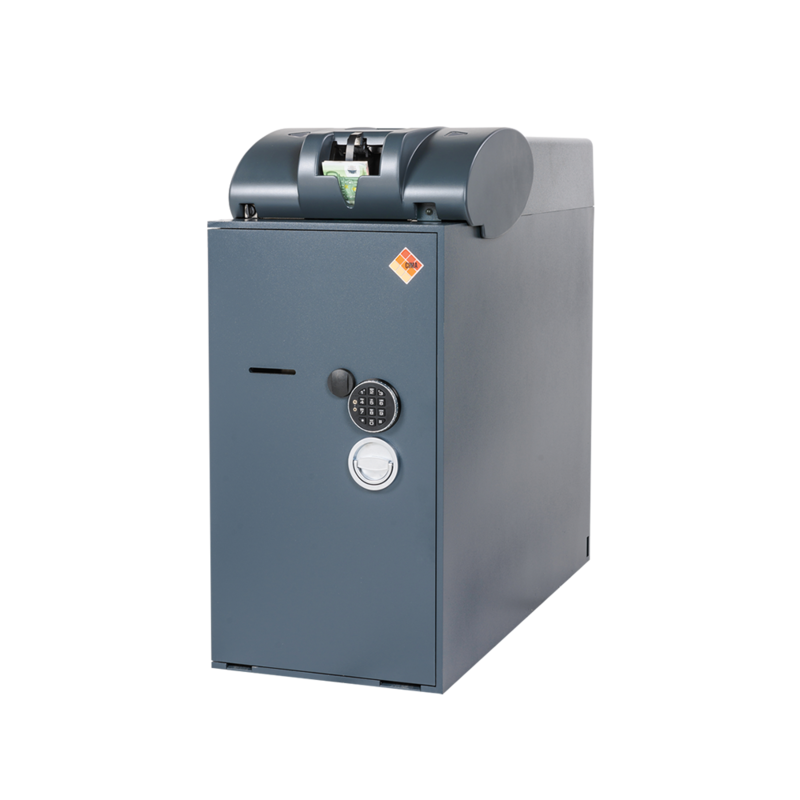 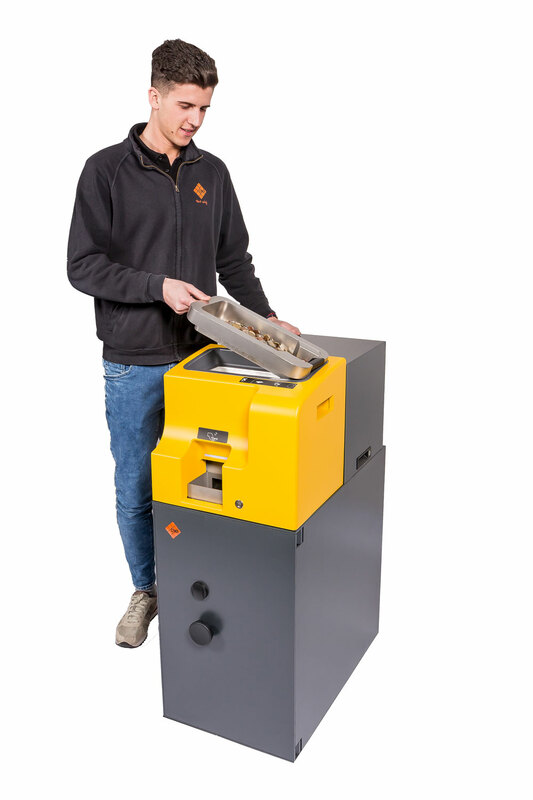 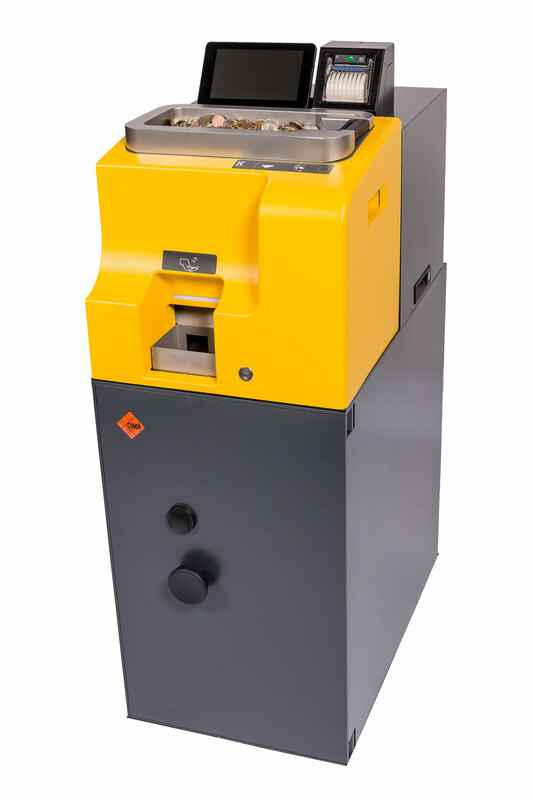 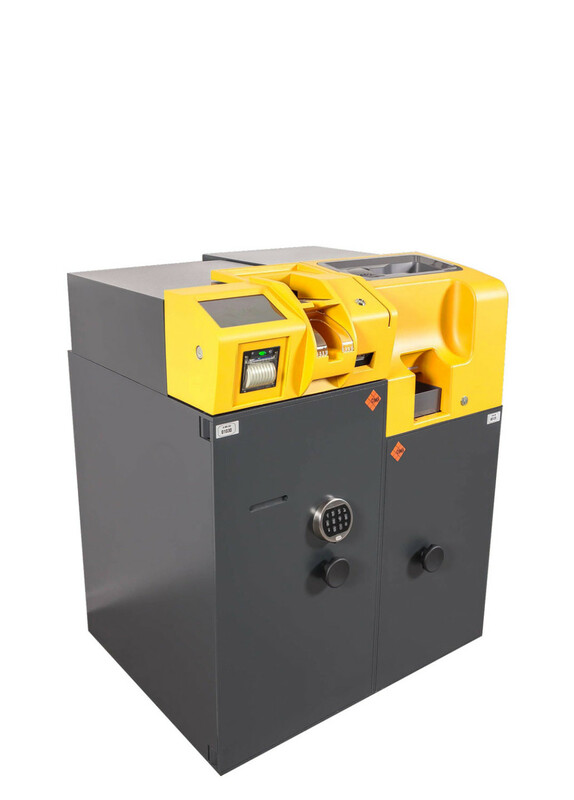 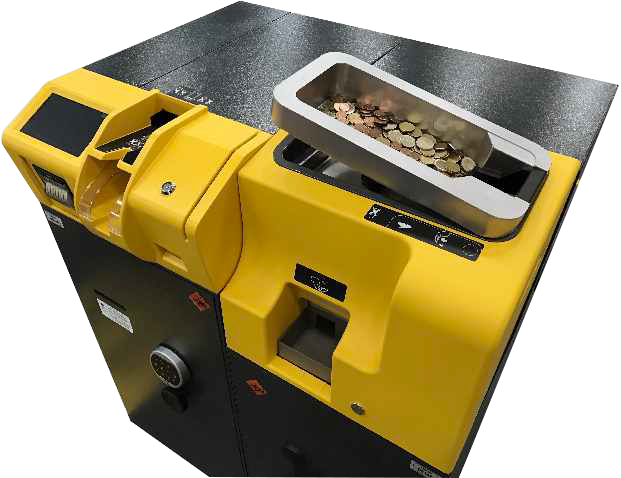 Top of the range for the deposit of banknotes and coins. 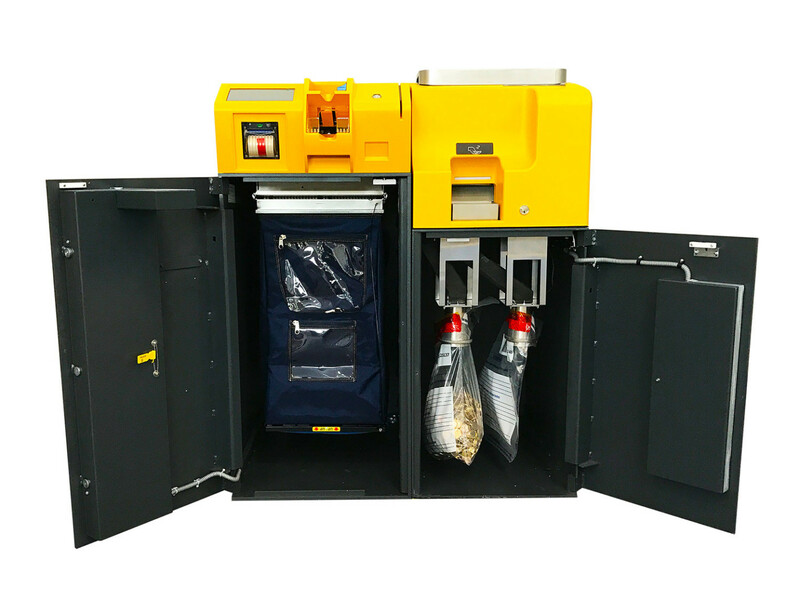 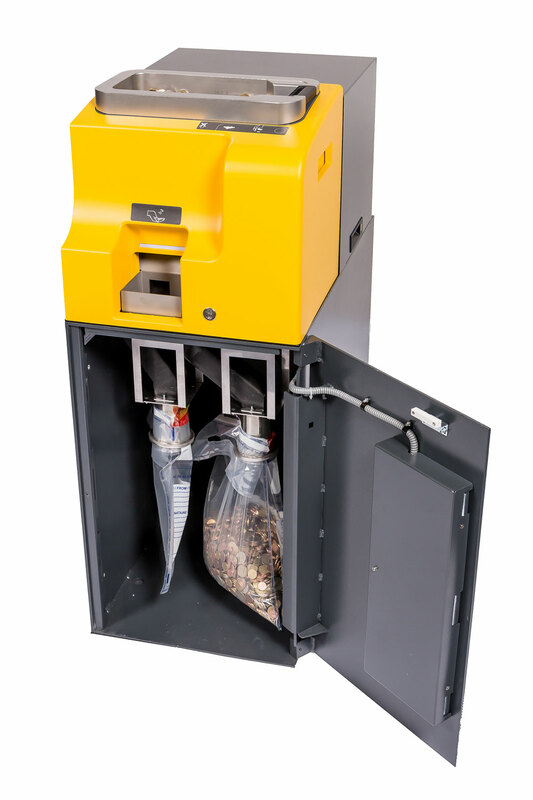 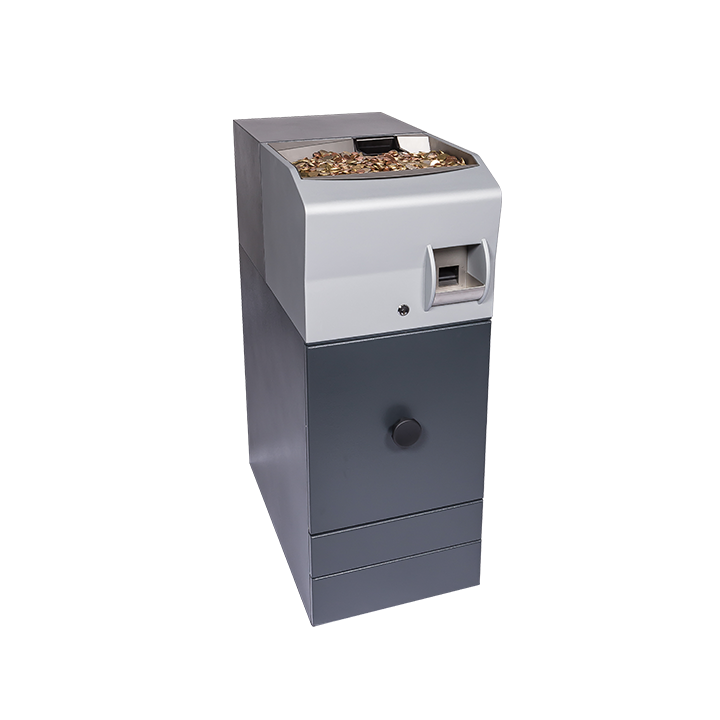 Characteristics of this solution are the high capacity (the use of canvas bags allows a capacity up to 10.000 banknotes and 130 kg of coins with the coin trolley), the compactness and the high performances. 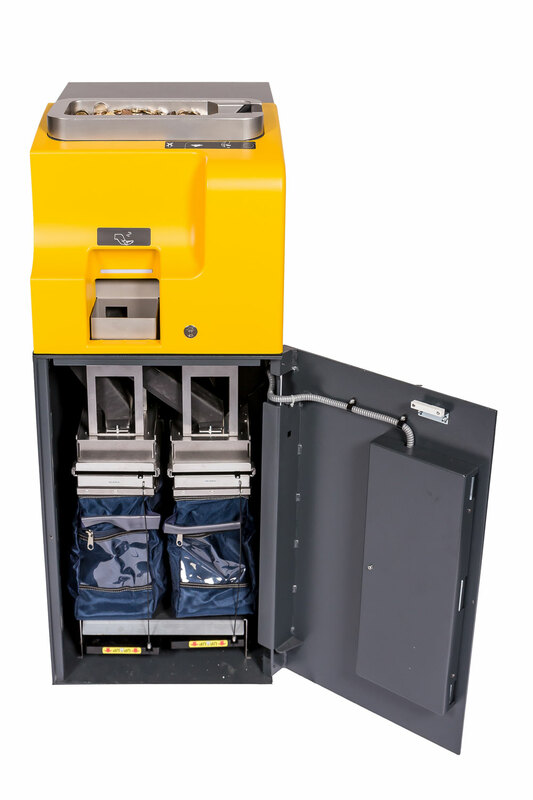 The possibility to choose among different kinds of storage makes the solution more versatile, as it meets the most diverse needs both of the customers and of the CIT. 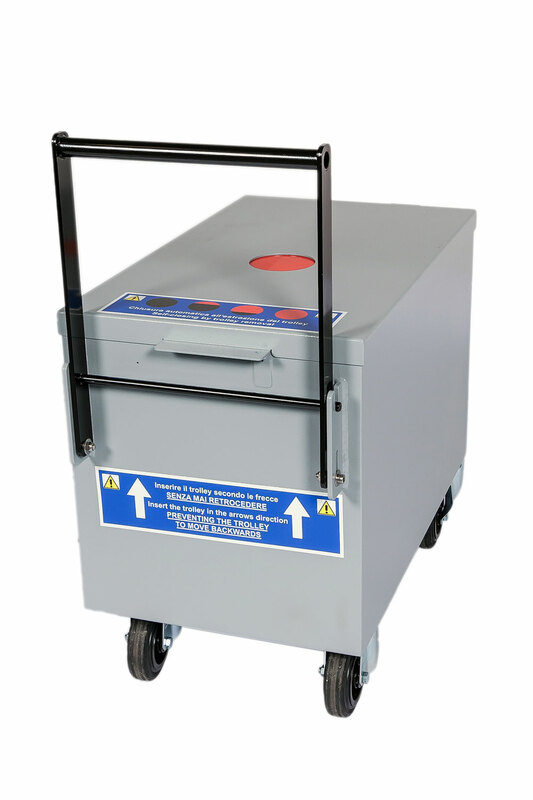 It reduces the CIT deliveries and pick-ups. 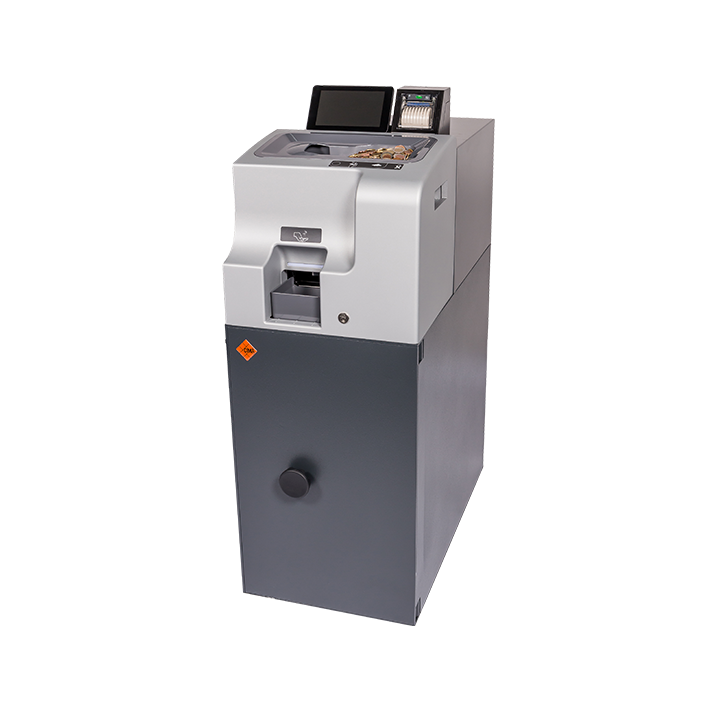 It ensures a high anti-counterfeiting security thanks to sensor BV5000.